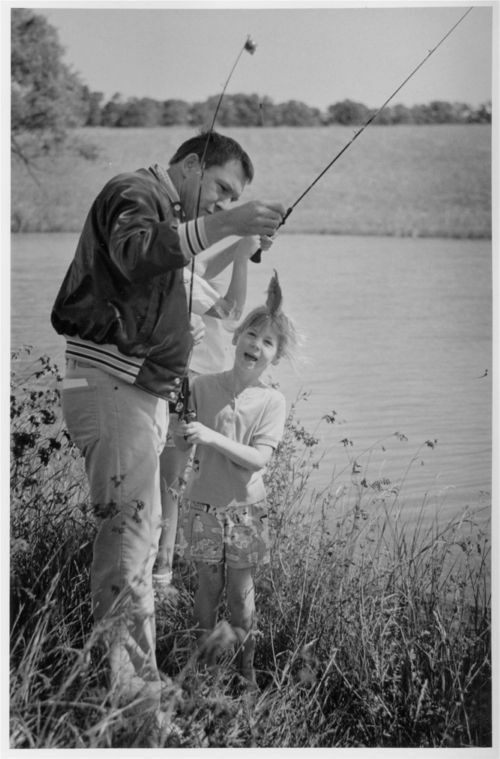 A photograph of Kansas Governor Mike Hayden fishing with his daughters Annie and Chelsi at the Cedar Crest ponds in Topeka, Kansas. Born in Atwood, Kansas, Hayden began his political career after serving in the military. Entering political office as a state representative in 1972, Hayden served in multiple offices including the Kansas House of Representatives and the Interior for Fish and Wildlife. Returning to Kansas in 2002, he accepted a position as Secretary of Wildlife and Parks.